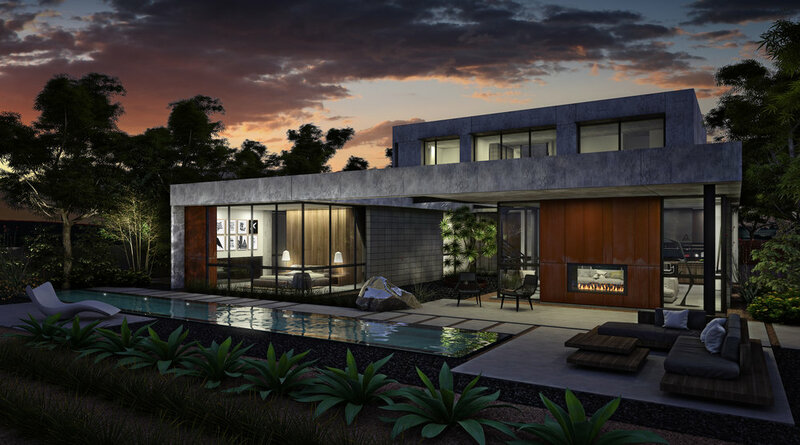 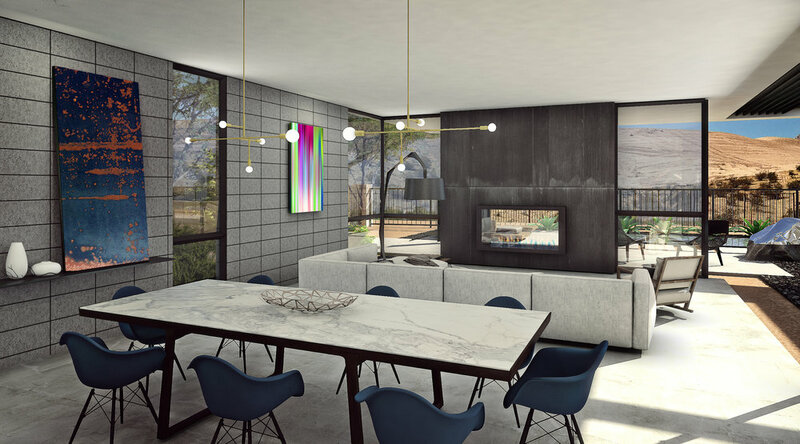 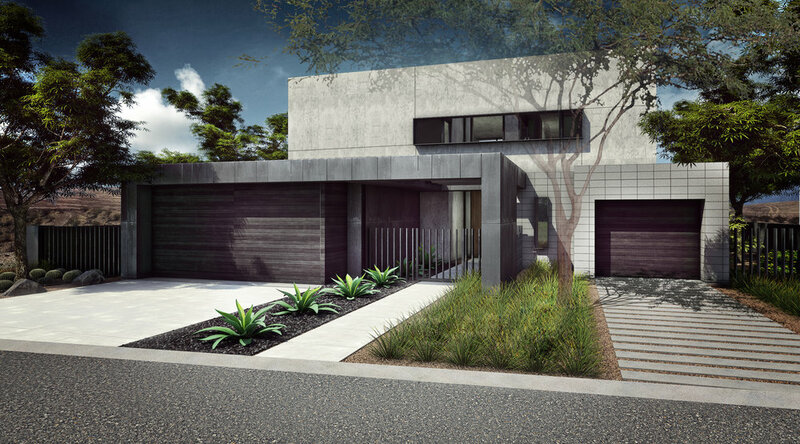 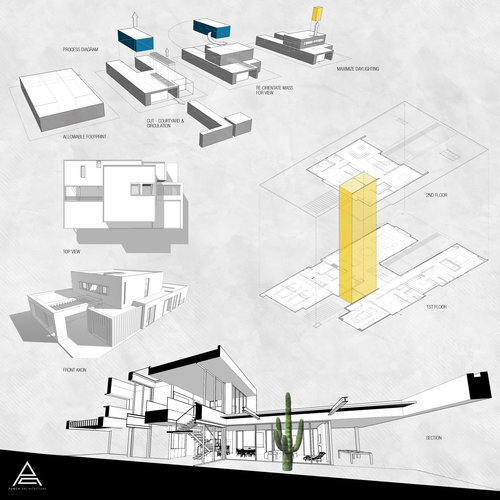 Slot Box is a 5,000 sf desert contemporary home which explores simple geometric forms by pushing and pulling rectilinear shapes to create visual slots in the homes architecture. 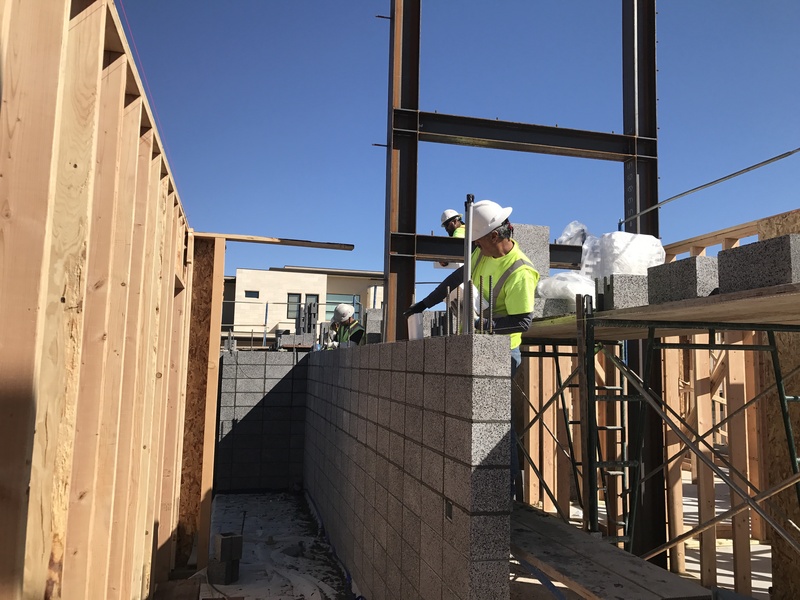 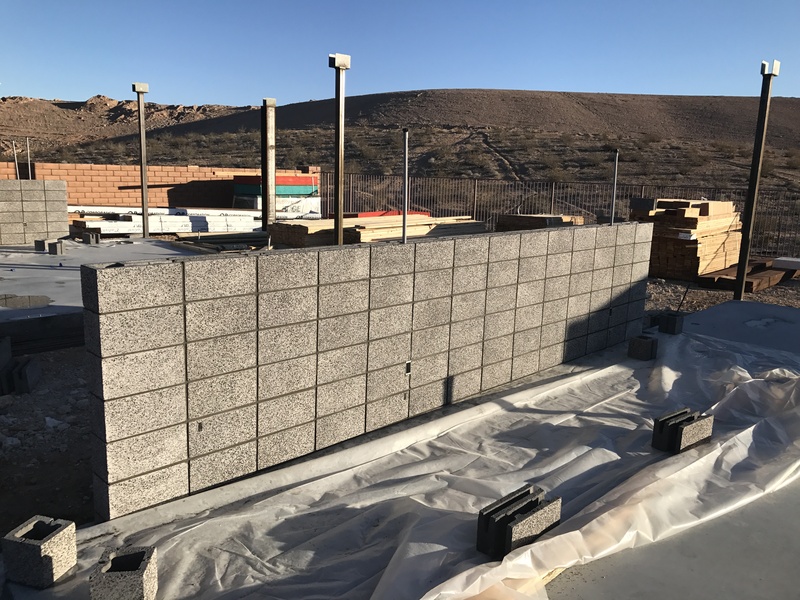 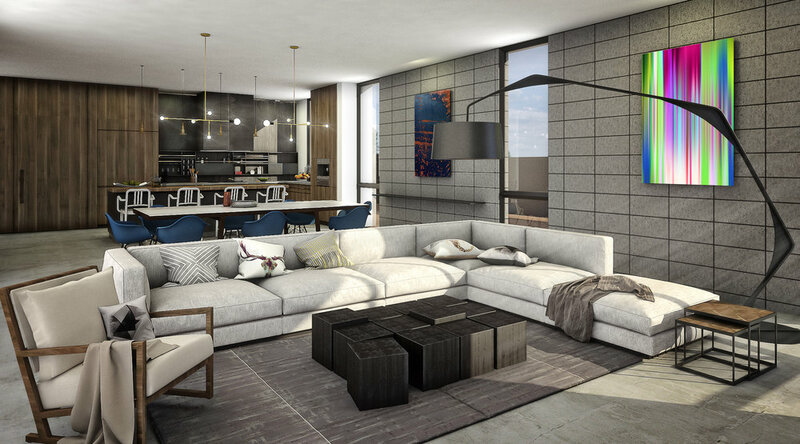 These slots allow for dynamic day lighting and shadow patterns to be created while also providing passive cooling and heating throughout utilizing the exposed thermal mass properties of the Omni Block walls. 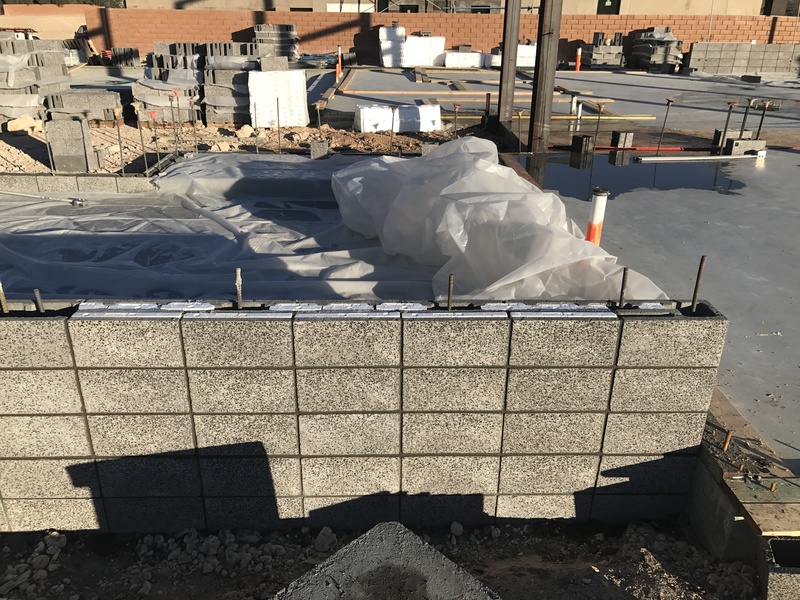 Omni Block is installed in a stacked bond pattern. 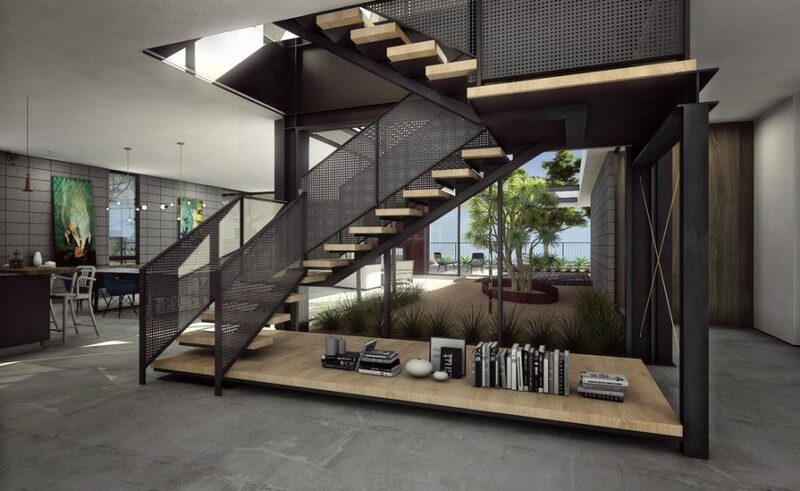 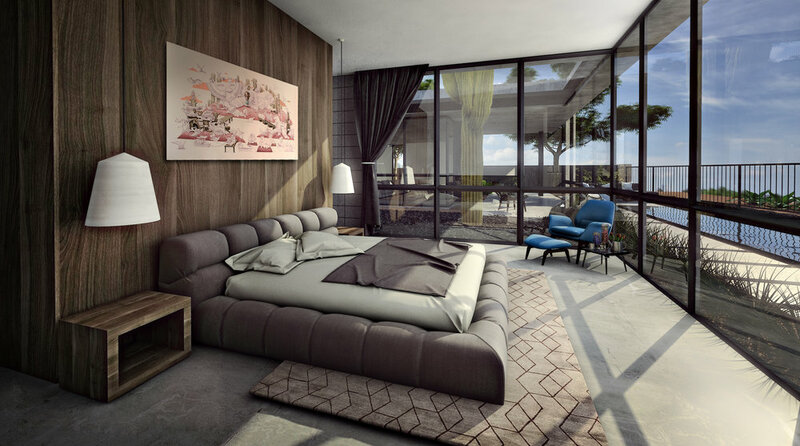 This adds to the contemporary horizontal lines of the interiors. 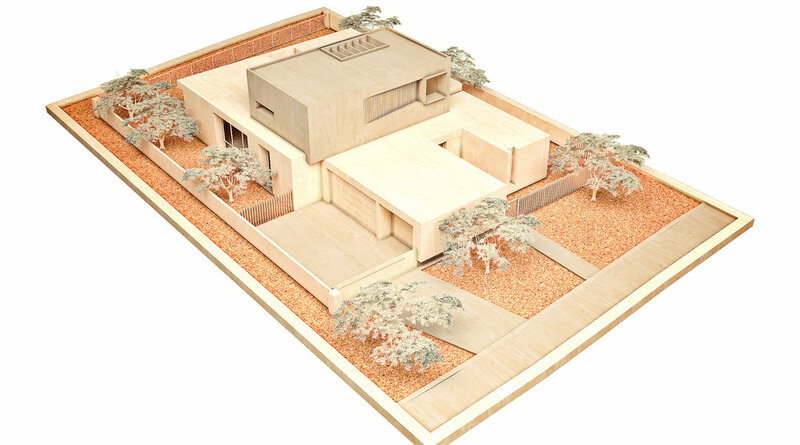 The conceptual model and overall design strategy are on display.